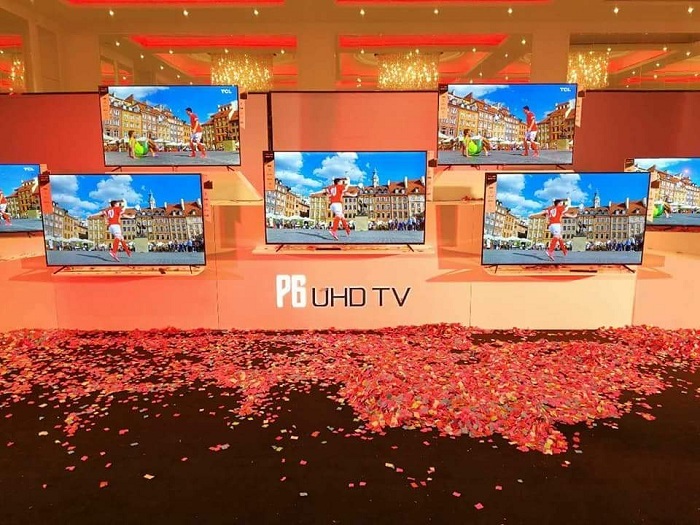 TCL Launches the world’s third largest TV manufacturer, today announced the launch its P6 4K UHD Smart TV, the newest addition to the Popular Series (P Series) at an event held at the Nishat Hotel, Emporium Mall, Lahore. The launch event was attended by numerous famous celebrities, industry experts and foreign dignitaries including the Chief Guest, His Excellency Mr. Long Ding Bin, Consular General, People’s Republic of China to Lahore. The P6 TV offers a sleek design, industry-leading picture and sound quality and multiple smart functions, combining to deliver an immersive entertainment experience to trend-conscious consumers. It has an ultra-slim 4.8mm Bezel, metallic casing, elegant flowline and has been polished to perfection to illustrate a highly minimalist design to ensure a near borderless visual experience. The P6 utilizes HDR technology to deliver state-of-the-art picture quality and dazzling images with accurate reproduction of light and dark shades, allowing the viewer to experience HDR content from any source. The 4K UHD display technology guarantees a fully immersive viewing experience through 3,840 × 2,160 pixels, four times better than a standard full HD TV. Its micro-dimming technology allows the P6 to achieve great contrast by analyzing video content in hundreds of separate zones and adjusting the brightness and darkness of each separately. The P6 sports studio-level 5.1 surround sound with the Dolby Audio decoder. This high-quality audio places users in the center of the action, expanding the left and right traditional stereo channels to deliver an enveloping 360-degree sound. Watching TV with the P6 is a smart experience thanks to the TV+ 3.0 OS. In terms of available content, consumer are spoilt for choice with a broad range of content — with Netflix, YouTube among others and ranging from video-on-demand, social, gaming, music, and photo sharing, enabling seamless interaction between TV and mobile devices. His Excellency Mr. Long Ding Bin, Consular General, The People’s Republic of China to Lahore addressing to the large audience at the occasion stated “China and Pakistan have a good positive relationship, we are very happy to have strong economic ties with Pakistan. TCL’ spresence in Pakistan is another remarkable step towards strengthening further the bilateral trade relations between the two countries. China is also the largest FDI country in Pakistan and I am confident that this relationship will continue to flourish in the future also’. The P6 is available in 43”, 50”, 55” & 65” sizes and in a stylish obsidian black color.